German engineers are developing a new concept that might change the design of smartphones and the concept of smartphone photography. In an attempt to avoid camera bump, they have created a prototype of the phone which has the camera that slides from the side of a device. 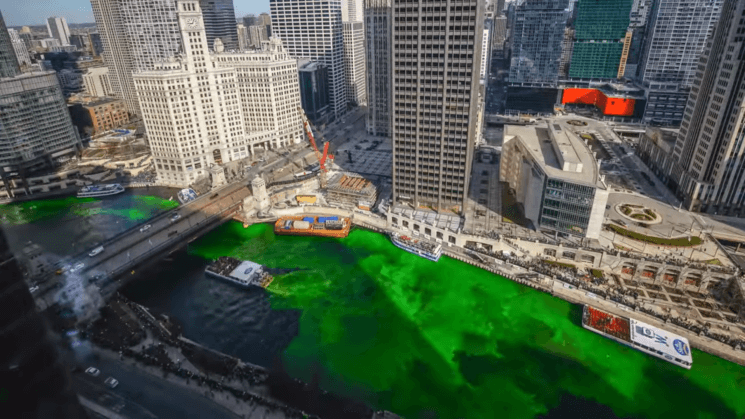 Everything’s green on St. Patrick’s day, and there’s a well know tradition of dyeing the Chicago River every year. Photographer Peter Tsai created a great timelapse of boats dyeing the Chicago River green. It views the river from two perspectives and high above, displaying the event in all its beauty. After announcing P30 black & white film, FILM Ferrania is now one step closer to its actual distribution. They have officially launched the online shop, and they are taking preorders for the P30. Customers from any part of the world can place the orders, on different links for US/Canada/Mexico and Europe/Global market. Google has developed and launched a new encoder named Guetzli. It’s an open source algorithm that allows you to reduce the size of JPG files by up to 35% while keeping the quality unchanged. Additionally, you can increase the image quality while leaving the size unchanged. Guetzli will allow you high compression density at a good quality of the image. It can be immensely helpful for saving images for the website. Using it will make the website use less data and thus be faster to load. A group of tourists have suffered minor injuries after they were caught up in the erupting volcano Mount Etna in Sicily. BBC team was among the group, recording. And when the volcano burst out, they caught the explosion on camera. Today I got an idea for a quick and simple DIY 2-in-1 reflector, and I’d like to share it with you and create my very first DIY article. It has a white and a silver side, it takes two ingredients to make, and it cost me about $20, along with the hot glue gun (this DIY project finally made me buy one). If you already have the hot glue gun, then you’ll make this for even less money. And it’s so unbelievably simple to make, it would be a pity not to try. Sigma 135mm F/1.8 DG HSM Art is now officially available for preorders. Sigma has presented us with as many as four new lenses last month, but without any details on shipping and price. 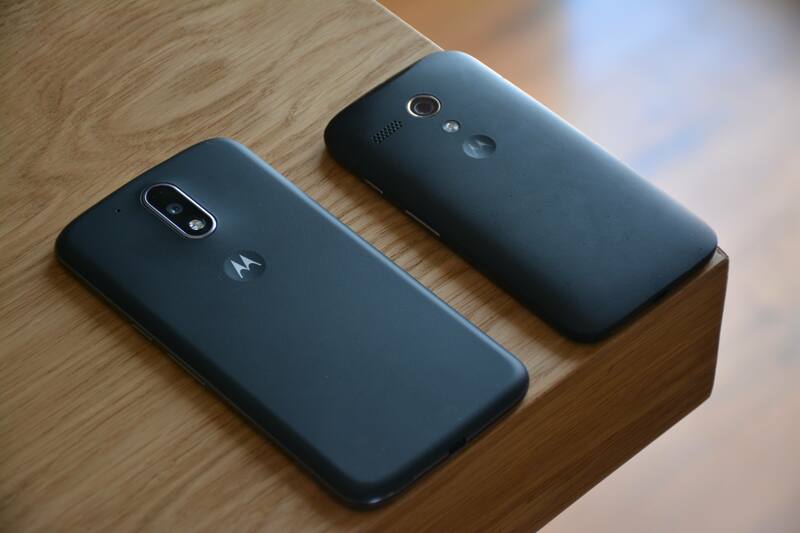 Now the 135mm is ready for preorders, and the shipping begins pretty soon – it’s expected on April 10th. We expected a good quality lens, and I’m sure it’s what they are. Sigma has definitely been raising the bar and improving over the years. But one thing that is pretty unexpected – the price. 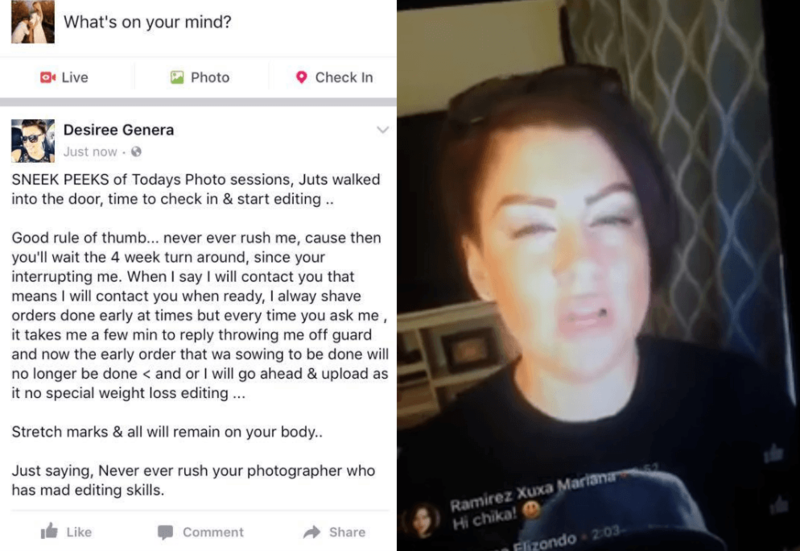 A story I recently saw in one Facebook group is an example how NOT to treat your client, EVER. After a maternity shoot, photographer Desiree Genera publicly bashed on her client Katrina Ortiz. She recorded live Facebook videos, calling her out for her looks, among other things. And it all started with a simple message. GoPro has announced that they are cutting another 270 jobs as a part of their restructuring program. They had layoffs before, as they were on a rough path for the past year or so. After a seemingly good start in 2017, it seems not everything has been going as planned. So, they are once again trying to cut costs and maintain profitability by laying staff off.